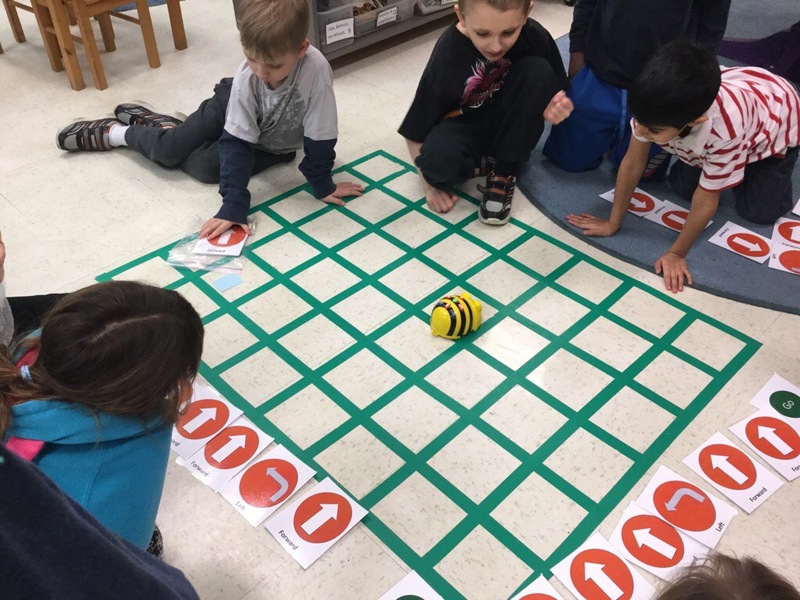 Look at us learning to code our Bee-Bot! 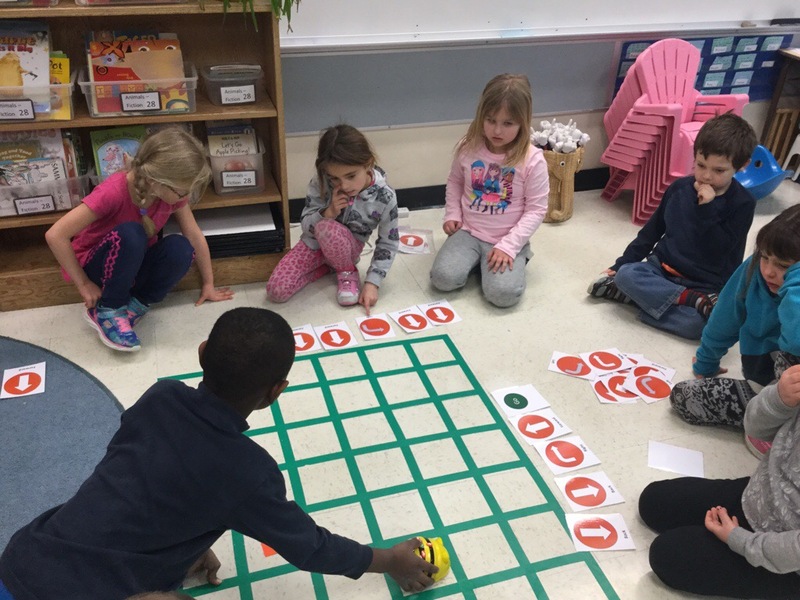 The students worked in groups to lay out a sequence of commands that would get the robot to a pre-determined square. Look to see all the different ways the groups of children tried to get the Bee-Bot to the same place. There was lots of trial and error learning and eventually the students discovered that there were many ways to accomplish the same task.